Always a beacon of excellence and luxury, the Bellagio's Picasso has met rave reviews everywhere. It is one of those restaurants that should be held to high standards. It will meet them, but not without cost. If you want to eat here, be prepared to leave with a lighter wallet. Picasso showcases artwork by its namesake, Pablo Picasso, creating an elite, artsy environment that delights the senses. 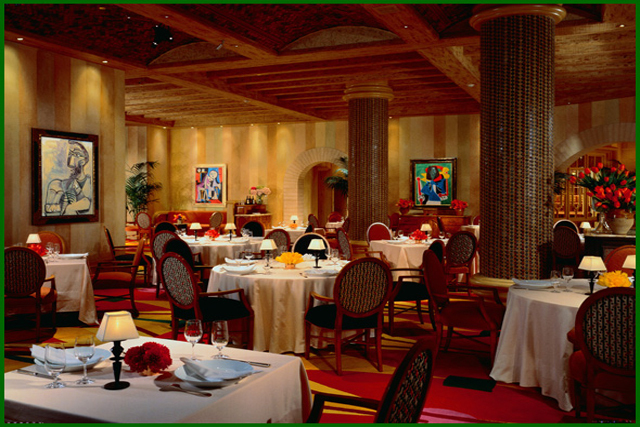 Bellagio upholds its tradition of being cognizant of the importance of decor and ambience in Picasso. It also reflects Bellagio's concern for good service. You will never feel rushed or forgotten during your meal. 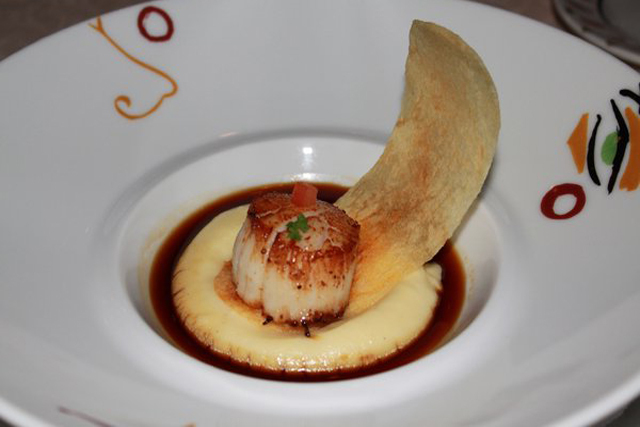 Naturally, the cuisine is French and Spanish after the places in which Picasso spent his life. To complement the food, the restaurant has a remarkably well stocked wine cellar; there are more than 1,000 bottles of wine from various European vineyards. The dessert wines especially have unusual breadth. Picasso ventured further than tawny ports and ice wine to create their dessert wine selection. The food, which changes seasonally, is excellent. Diners can choose from several types of menus from a five course degustation to a four course prix-fixe tasting dinner. These offer truly gourmet experiences. Dinner prices on these menus will be in the $40 range or the $50 range, but each is paired with a wine and dessert is included. Be sure to dress for the occasion and make a reservation.